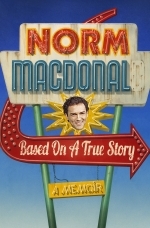 Norm Macdonald tells the story of his life—more or less—from his rural origins on a farm in the backwoods of Ontario to an epically disastrous appearance on Star Search, from an unbelievable audition for Lorne Michaels to his memorable run as the anchor of Saturday Night Live's “Weekend Update." 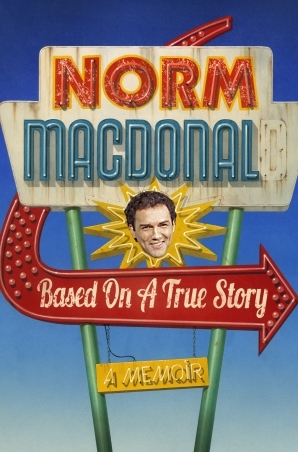 But Based on a True Story is much more than just a memoir: it's the hilarious, inspired epic of Norm's life.  Told as dispatches from a road trip to Las Vegas with his sidekick and enabler, Adam Eget—a plan hatched to regain the fortune he'd lost to sports betting and other vices—Norm recounts the milestone moments of his life: the regrets, the love affairs, the times that Fortune smiled on him, and the times it did not. As the clock ticks down, Norm's debt reaches record heights, and he must find a way to evade the hefty price that's been placed on his head by one of the most dangerous loan sharks in the country. As a comedy legend should, Norm peppers these pages with classic jokes and long-mythologized Hollywood stories. This tense, wildly adventurous, totally original, and absurdly funny memoir turns the conventional “comic's memoir" on its head and gives the reader an exclusive glimpse inside the mad, glorious mind of Norm Macdonald. NORM MACDONALD is a Canadian stand-up comedian, writer, and actor who lives in Los Angeles. He is the proud father of Devery.